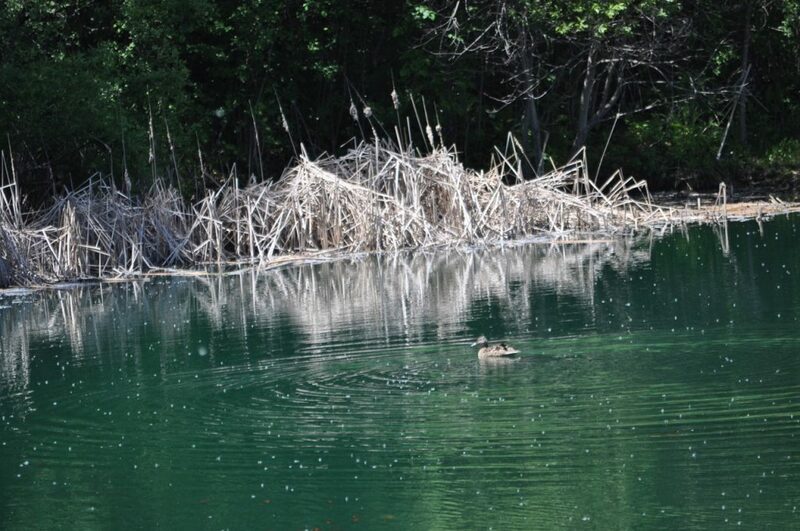 Thank you, Mary Carlson and Connie Maines, Deerpath GC Members, for leading this effort! 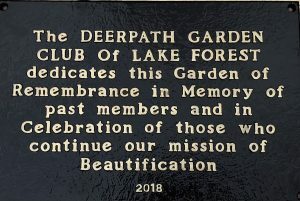 As an extension of the west Lake Forest train station garden, which is the keystone philanthropic project of the Deerpath Garden Club, the west side of Telegraph Road was developed as a garden to honor the memory of our club members who have dedicated their talents and time to beautifying the city. 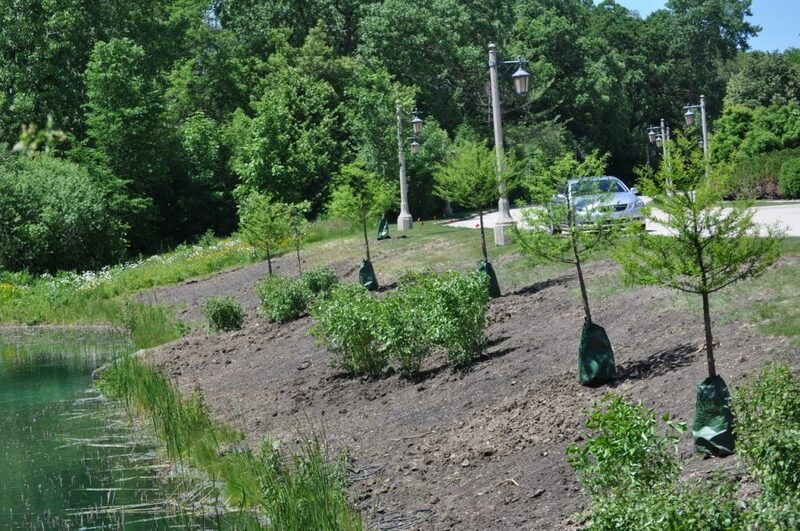 The garden was designed with the help of Craig Bergman, and was made possible by a significant contribution of installation work by the City of Lake Forest. 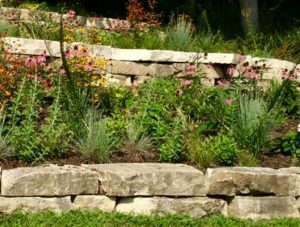 While being compatible with the train station garden, it is more natural in composition and selection of native plants, and includes a seating area overlooking the pond and vegetation with seasonal color for enjoyment year-round. 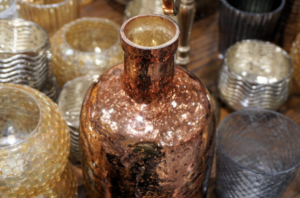 Random Acts of Flowers–Our club collected and donated dozens of vases to Radom Acts of Flowers, a group that arranges flowers and delivers to those in need of cheer at nursing homes, hospitals and more. 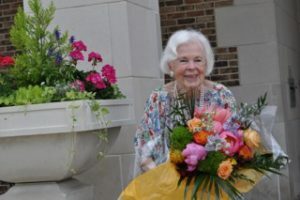 Donation of Telegraph Road Train Station Urns to City of Lake Forest–The urns were dedicated in June 2016 in honor of the late Priscilla Billington, a mentor, role model and longtime member of Deerpath Garden Club. The urns grace the main entrance to the station. 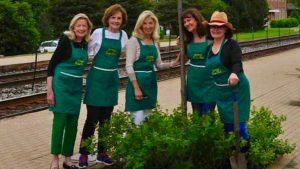 Kentucky Coffee Trees and Ground Cover Planting–Ongoing enhancements of the Telegraph Road Train Station included planting trees along the train station platform, just to the east of the station house. 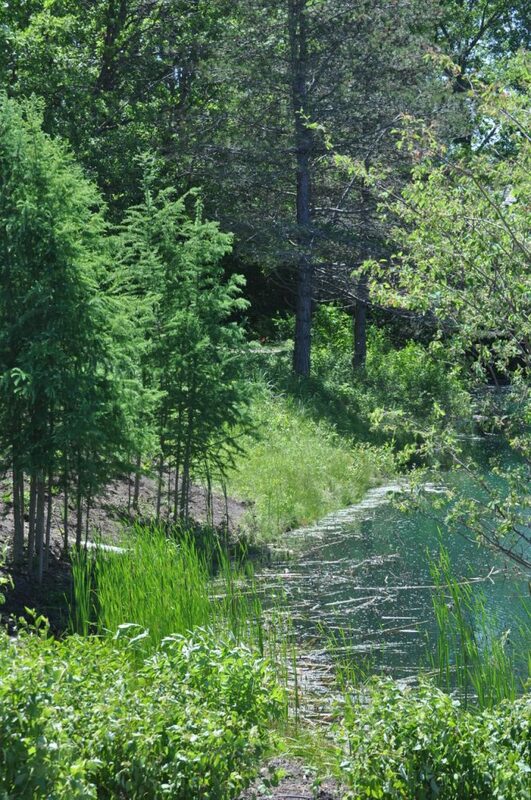 These hardy trees help our environment as well as provide natural scenic beauty for harried commuters. 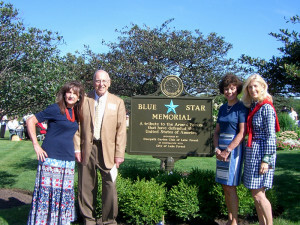 Blue Star Memorial–The Blue Star Memorial program was begun in 1945 by National Garden Clubs, Inc. to honor the men and women who have served our country in the armed services. Blue Star Memorial markers can be seen throughout the United States and are often found along a highway. Our club dedicated a Blue Star Memorial marker on August 28, 2014 on the grounds of Telegraph Road Gardens with Astronaut Captain James Lovell as the featured speaker. Many more projects still to come!